Sonoma Ecology Center | Beautiful. Sustainable. Sonoma. How is our Valley doing? 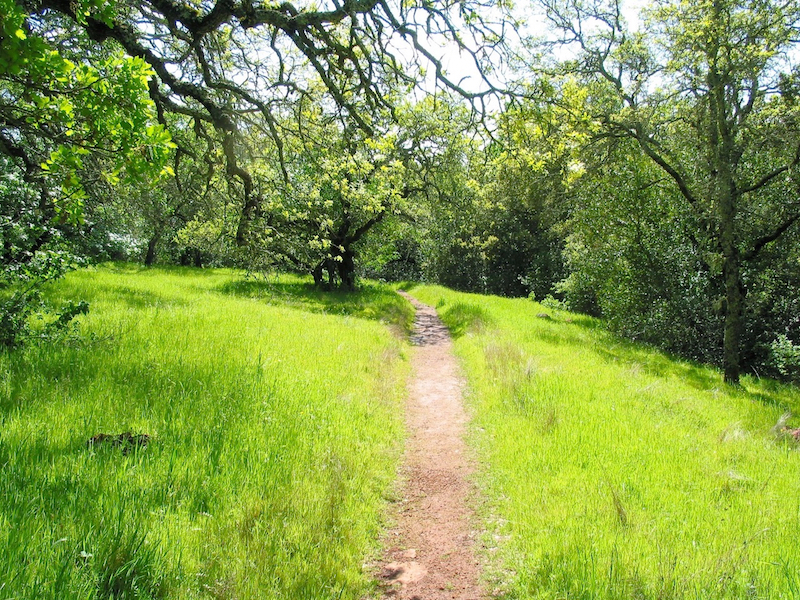 We monitor, analyze, map, and report on broad measures of ecological health in Sonoma Valley. 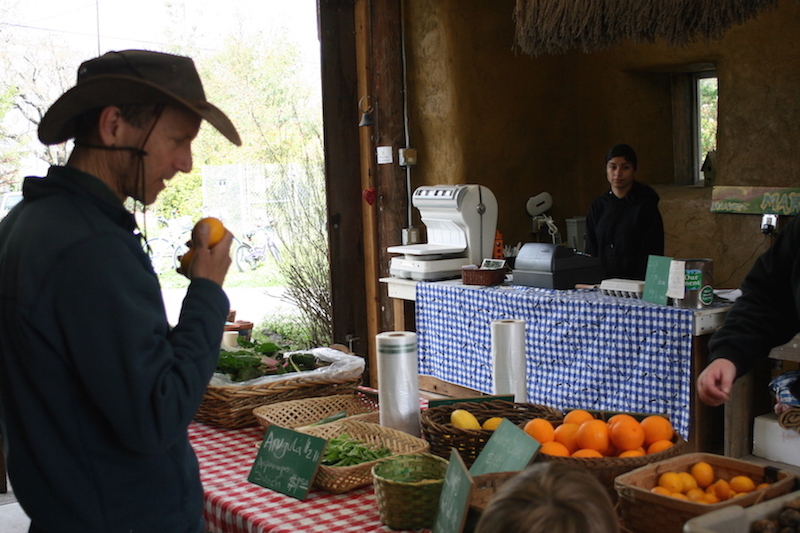 We provide educational and outdoor programs for thousands of students in Sonoma Valley. 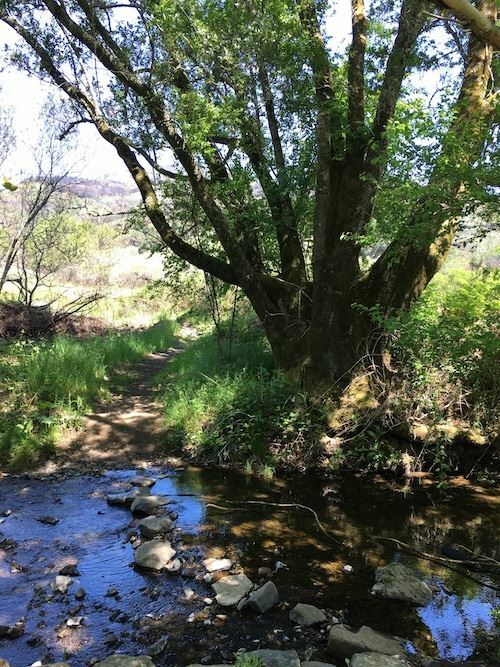 We foster and maintain publicly accessible open spaces, including Sugarloaf Ridge State Park, Van Hoosear Wildflower Preserve and the Sonoma Overlook Trail. 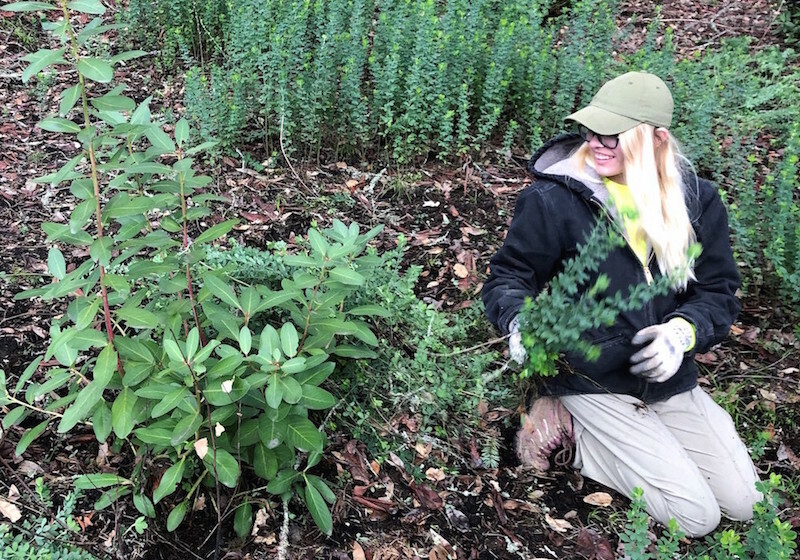 Since 1993, we’ve worked side by side with landowners and volunteers on projects that restore, protect, and improve our natural heritage. 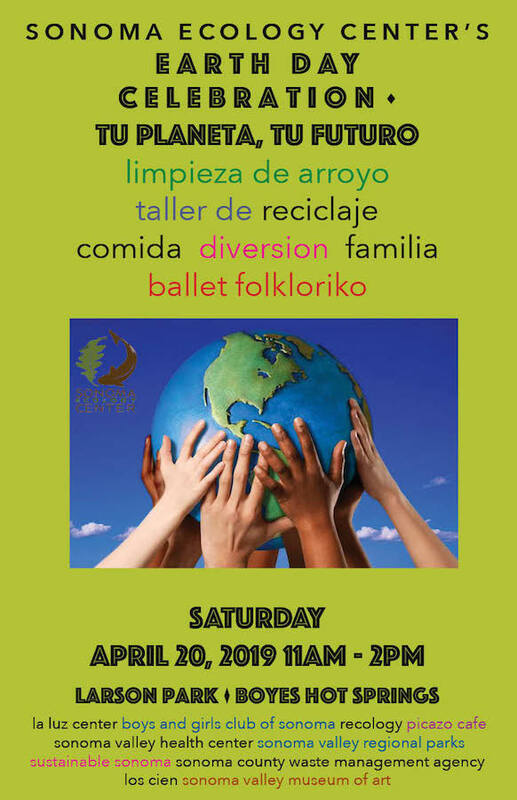 We’re hosting an Earth Day Celebration on Saturday, April 20, from 11 a.m. to 2 p.m. at Larson Park to build community, reconnect people to the land around us, and celebrate our favorite day of the year. 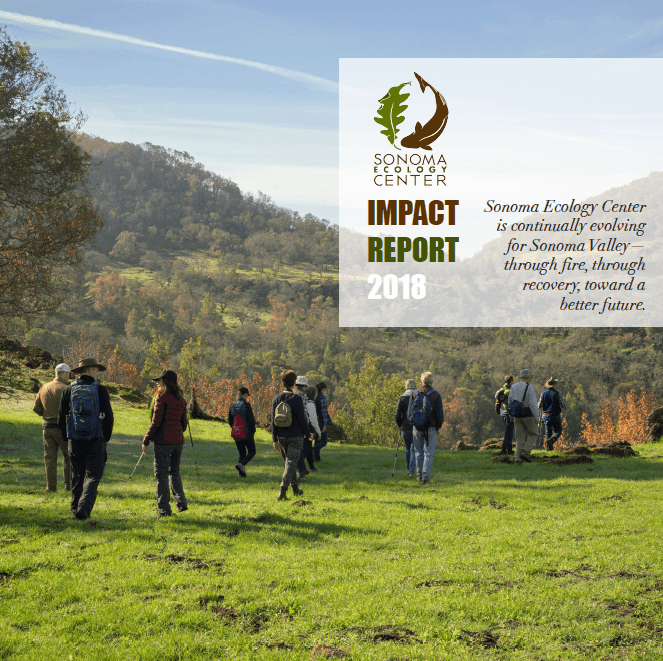 We’re excited to celebrate the 50th year of Sugarloaf Ridge State Park, the 25th year of Sonoma Garden Park, a more inclusive Education Department, and an expanded Restoration Department. Venga a disfrutar de una caminata llena de flores silvestres. 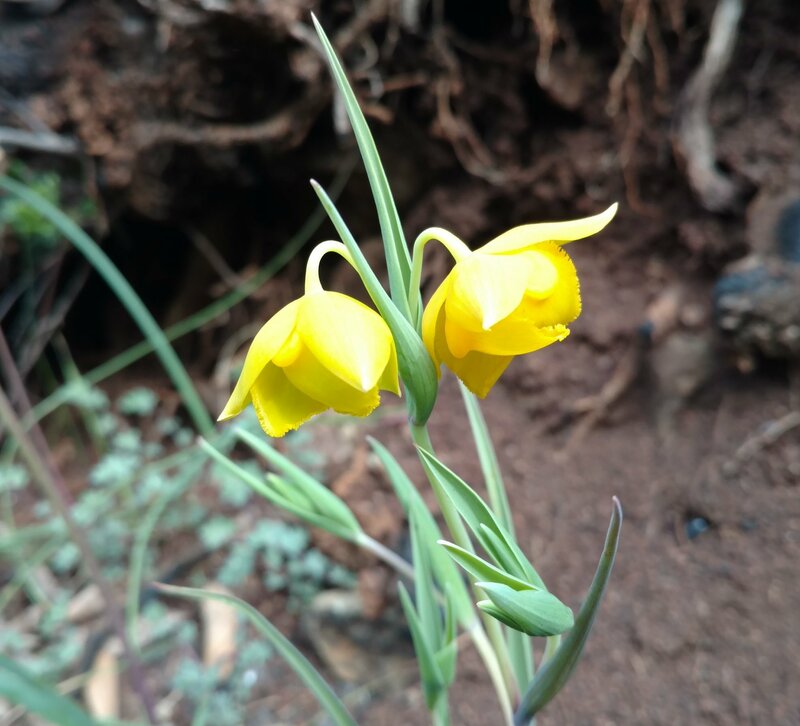 Un guía nos acompañará en un recorrido de aproximadamente tres millas donde aprenderemos acerca de las flores silvestres en el parque durante la primavera, incluyendo algunas que solamente brotan después de incendios forestales. Nos reuniremos en el centro de visitantes a las diez de la mañana. El evento es $5 para adultos (https://www.brownpapertickets.com/event/4198927) y gratis para menores de edad. Contacte a Alma en alma@sonomaecologycenter.org con preguntas. 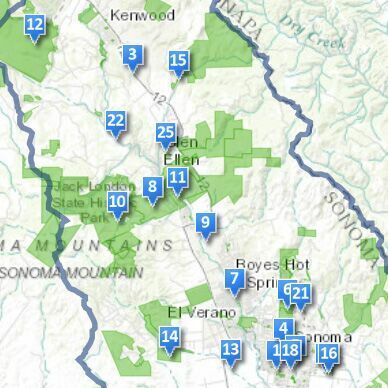 Click on the image below for an interactive map showing our projects in Sonoma Valley. Sonoma Developmental Center is preparing for final closure after 127 years of operation. Please sign the petition urging Gov. 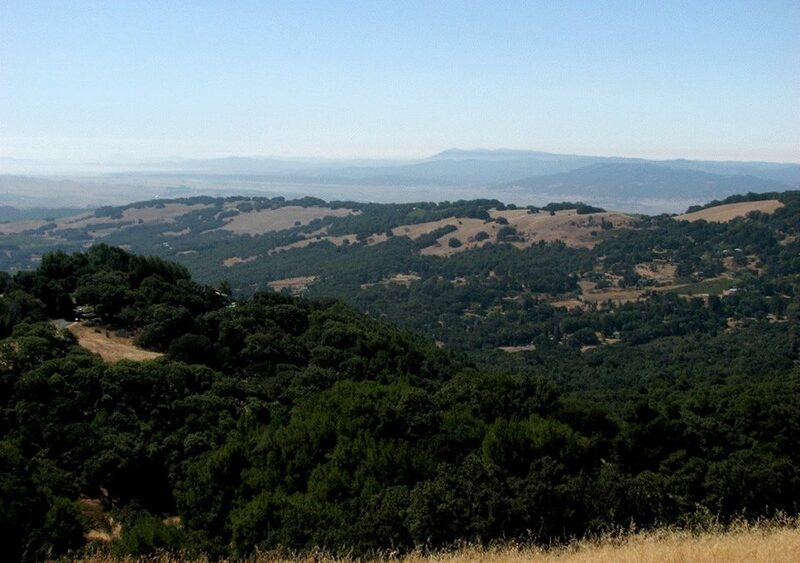 Jerry Brown to protect this large swath of crucial open space located in the heart of Sonoma Valley. Click on the image for a pdf version. 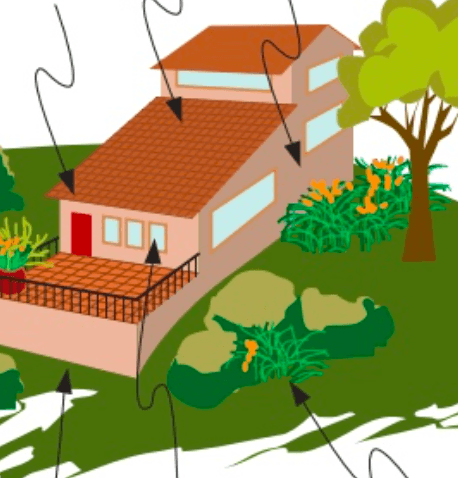 Click on the image below for a pdf version of our brochure on fire smart, water wise and wildlife friendly landscaping. 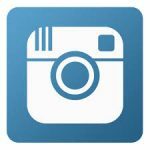 Receive news in your inbox from Sonoma Ecology Center, Sonoma Garden Park or Sugarloaf Ridge State Park.